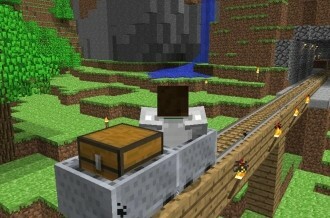 Minecraft fans might want to think twice about upgrading to Windows 8 next month. According to tweets from creator and developer Markus “Notch” Persson, Microsoft asked him to help certify the game for Windows 8. Persson declined in a roundabout way, telling Redmond to instead stop trying to ruin the PC as an open platform. A few minutes later, he fired off another tweet saying he’d rather have Minecraft not run on Windows 8 at all than to play along. He further hopes that he can convince a few people not to switch to the new operating system by doing this. This isn’t the first time he’s spoken out against Microsoft and Windows 8. Last month during an Ask Me Anything thread on Reddit, Persson said he hopes to keep a lot of open and free platforms around and if Microsoft decided to lock Windows 8 down, it would be very bad for indie games and competition in general. Minecraft’s creator isn’t the only prominent gaming figure to voice an opinion concerning Windows 8. A few months ago, Valve co-founder Gabe Newell told those in attendance at a video game conference that he believes the operating system is a catastrophe for everyone in the PC space. He predicts some of the top tier PC/OEMs will exit the market and margins will be destroyed for a lot of people. Rob Pardo from Blizzard commented on Newell’s statement shortly after on Twitter, saying it wouldn’t be very good for them either if his predictions about Windows 8 come true.